The Academy Awards are fast approaching, and the Academy has unveiled an Oscars trailer to spike our anticipation for the big event. The trailer doesn't reveal too many details about the upcoming ceremony; instead, it consists of clips from the 2017 Oscar-nominated movies, which were announced last Tuesday, in addition to some footage of past winners. As many of the Academy Awards ceremonies have done in the past, the short video makes connections among the seemingly disparate themes of this year's movies — spotlighting heroes, dreamers, and lovers. One thing that the new trailer does hint at is that the Oscars may not be the politically charged event that some, including myself, might be hoping for. Instead, escapism seems to be the goal. The trailer is soundtracked by an Ariana Grande-esque song by Erin Bowman that proclaims, "We're all about a good time, we're all about a good life." Natalie Portman as Jackie Kennedy's pronouncement that "people like to believe in fairy tales" takes on a slightly less foreboding tone, out-of-the-context of the film, when spliced into a montage of dreamers. The trailer ends with its thesis that "dreams are what movies are made of." The escapist tone of the Oscars trailer won't come as a surprise to those who were disappointed that La La Land received so many nominations. The musical covers the well-worn territory of Hollywood artists trying to achieve their dreams. 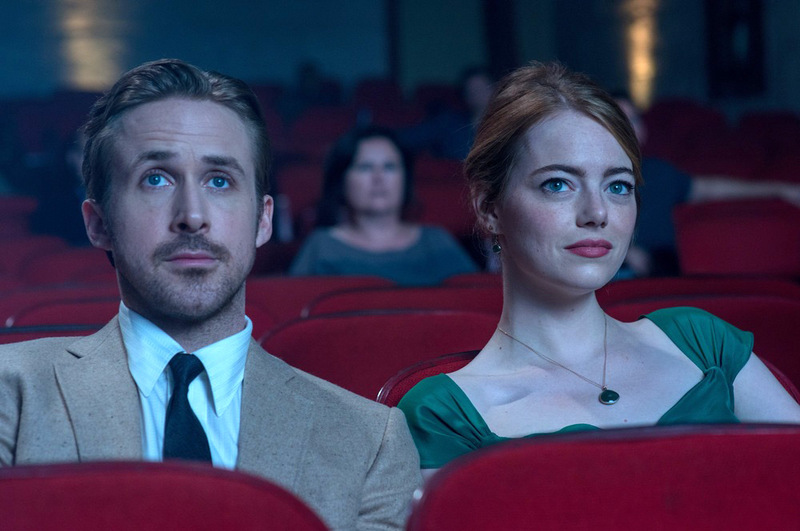 While I found La La Land stunning and emotionally compelling, I wish that movies like Moonlight and Hidden Figures had garnered a similar amount of nominations for telling less traditional Hollywood stories that embrace themes of race, gender, and sexuality. These critiques aren't new; the Oscars have come under fire over the past years for ignoring more controversial or risky films in favor of movies about Hollywood. Should the Academy Awards — and the industry for which it often serves as a metaphor — provide escapism or political commentary? It's a difficult question, but it's impossible to say that even escapist entertainment doesn't carry political weight when the former host of The Apprentice is the president of the United States. The trailer itself provides evidence that the political is inescapable. Moonlight's young lovers might not be celebrated in a world where Vice President Mike Pence's anti-gay stances could become policy. Young black women would have more trouble emulating the success of the ladies of Hidden Figures without the public school system that secretary of education nominee Betsy DeVos could severely compromise. The urge to escape is understandable, and the choice to make the 2017 Oscars into a night of celebration and forgetfulness would be understandable, but naive. We won't know what the true tone of the Oscar ceremony will be until Feb. 26, but I hope that the Academy Awards will acknowledge the nation's tensions beyond the winners' speeches, because pretending that movies have no relation to the political sphere feels like a lie.